The current celebrations of the 400th anniversary of the death of William Shakespeare prompt me to think about the Rev Edgar Innes Fripp. His is not a name widely remembered today but I was very aware of him when I was minister of All Souls’ Church in Belfast as a very distinguished predecessor in that pulpit, indeed the minister under whose leadership that church was built in 1896. E.I. Fripp didn’t really get the attention he deserved in the congregation, although I wrote and spoke about him on a number of occasions. 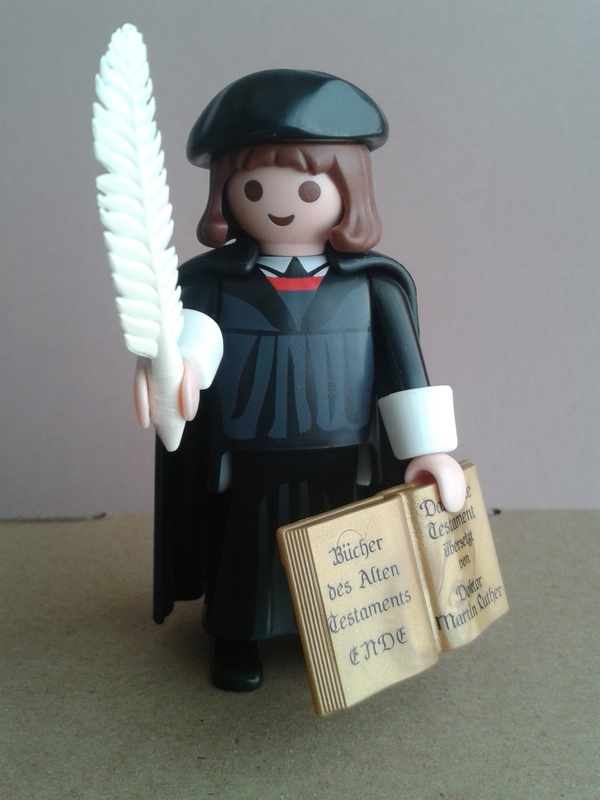 If the congregation looked to anyone as an historical exemplar it was A.L. Agnew whose own particular heroic story in the course of a 54 year ministry was partly based on an undoing of the achievements of his predecessor Fripp. He did away with the ‘Fripperies’ that remained from early in the century even to the extent – or so I was told – of having a bonfire of old service books along with assorted hassocks, communion table cloths and pulpit hangings. Fripp had introduced an edited version of the prayer book to the church, a robed choir and a much more devotional style of worship than had been the case before. More than that he had built the church, a little medieval English parish church in suburban Belfast. It was his vision in achieving this that had enabled the church to survive. Without this move it would have been unlikely to have lasted in Rosemary Street, and although there may have been a falling off in attendances between the wars it suited the narrative of the later arrival of Dr Agnew and the York Street congregation following the blitz of 1941, to write off everything that had gone before. In fact the destruction of the York Street building made an eventual union of the two congregations inevitable but without the intervention of the German Luftwaffe even that probably would not have taken place. By the time I was minister at All Souls’ a large majority of the congregation had belonged to York Street or were descendants of that congregation. The Second Congregation families, the original All Souls’ people, were a minority yet there were a few who remembered Edgar Innes Fripp. This wasn’t because they were extraordinarily old, because although he had built the church in 1896 and left in 1900 he had returned at the start of the 1920s for a few years. In the 1990s there were some people who had childhood memories of Fripp and what they remembered in particular was his interest in Shakespeare. He was much given to quoting him and increasingly found inspiration in his writings for his sermons. In Belfast he had been innovative, imaginative and creative. 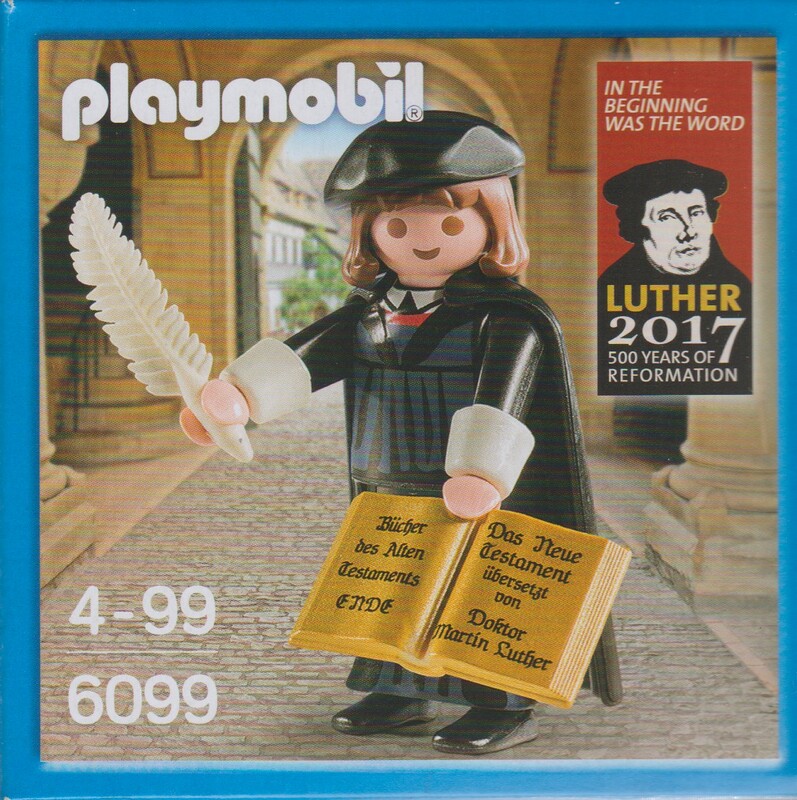 He was a genuine scholar, he had been a Hibbert Scholar in Germany before entering the ministry, and was a caring and effective pastor. 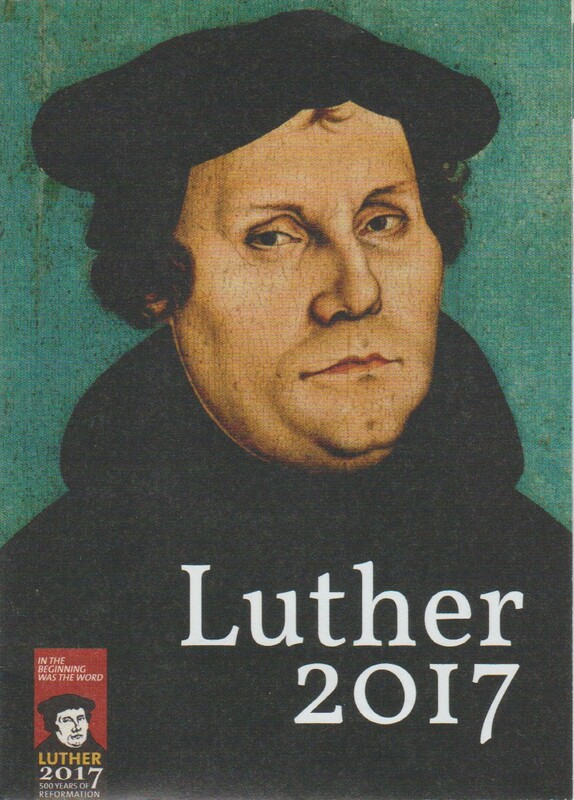 All this can be seen in his Kalendar, the first monthly magazine to be distributed within a church of the Non-Subscribing tradition in Ireland. Before he had arrived the Second Congregation had left the presbyterian structures to pursue their own course although they were rooted in the Free Christian theological traditions exemplified by James Martineau. At the end of his life Fripp’s funeral took place in Shakespeare’s church and he was buried in Stratford on Avon. But he produced a large amount of work on Shakespeare and I have often been tempted to seek out a contemporary Shakespearean scholar to give an assessment of how these works are regarded today for Faith and Freedom. There is and has long been a vast industry around Shakespeare and each age finds a different set of interpretations that reflect its own circumstances. It would be nice to know from the point of view of an English literature specialist what endures from Fripp’s writings. But if nothing else he had an enduring impact on the topography of South Belfast, something that continues to this day. The Faith and Freedom Great War project continues to expand and we hope to see added to the site in the near future a number of new articles, including Alan Ruston’s piece for the Transactions of the Unitarian Historical Society (1993), ‘Killed Fighting in the First World War’; and a moving sermon by Andrew Hill who recounts his father’s experiences during the First World War as a ministerial student who was assigned to “Non Combatant service only on conscientious grounds”. We have also received a good number of images of war memorials from many different places. 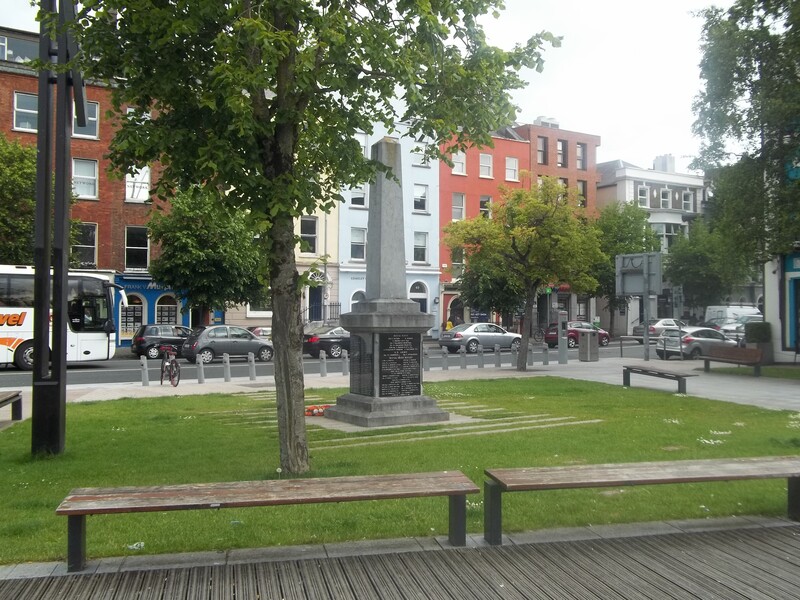 Brendan Burke has sent a whole sequence of pictures of the memorial in the South Mall in Cork. Of course it is not related directly to the Unitarian (or any church) in Cork but unveiled in 1925 it is a rare example of such a public memorial in the Irish Republic. It shows a soldier of the Royal Munster Fusiliers with the names of the war dead (which almost certainly includes some members of the Princes Street congregation) on a plinth underneath. We’ve a good number of images of war memorials too from churches in Northern Ireland, many of them designed by Rosamund Praeger, the famous sculptor who was also a member of the Holywood NSP congregation. Lynne Readett has sent some fascinating material from Park Lane Chapel, Ashton in Makerfield. 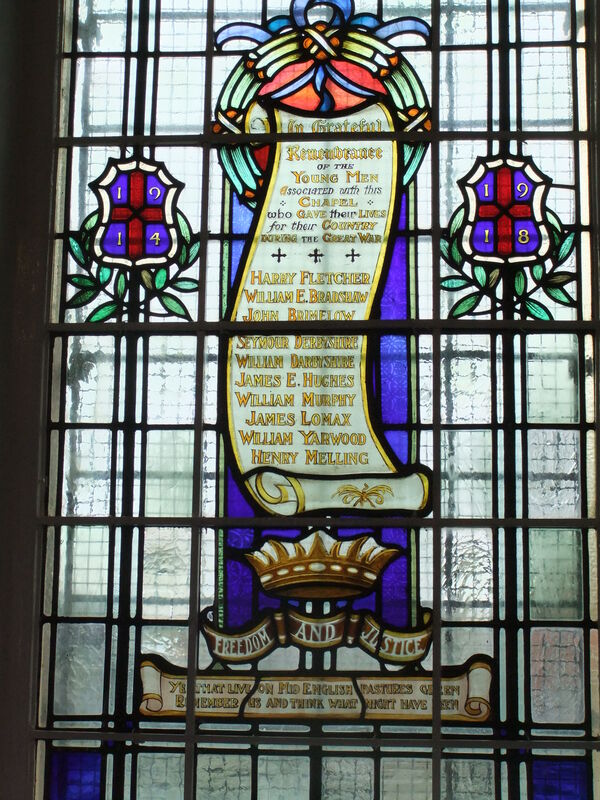 Here the memorial takes two forms – the first a stained glass window listing the names of those who were killed in the war. This was beautifully restored and rededicated at a service to mark the outbreak of the First World War in August 2014. The congregation also built an extension to their school house as a further memorial in 1925. The window contains a list of the Chapel’s fallen as well as the legend ‘Freedom and Justice’ and the quotation ‘Ye that live on mid English pastures green, remember us and think what might have been’. This was a commonly used verse on memorials all over England at the time but I don’t know the source, does anyone know where it comes from? 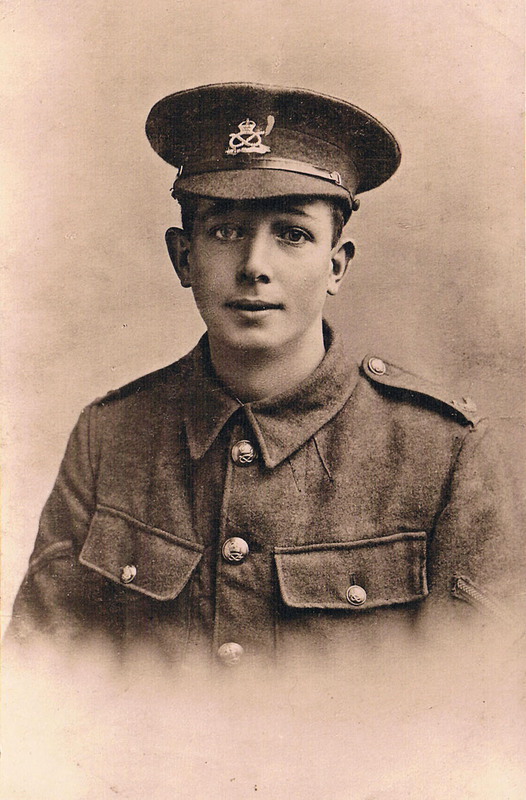 Lynne has supplied the site with photographs and accounts of special services held both there and at Cairo Street, Warrington, together with details of those who were killed in the war who belonged to Cairo Street. Susan Naylor has also supplied details of the members of Park Lane who died in the First World War. 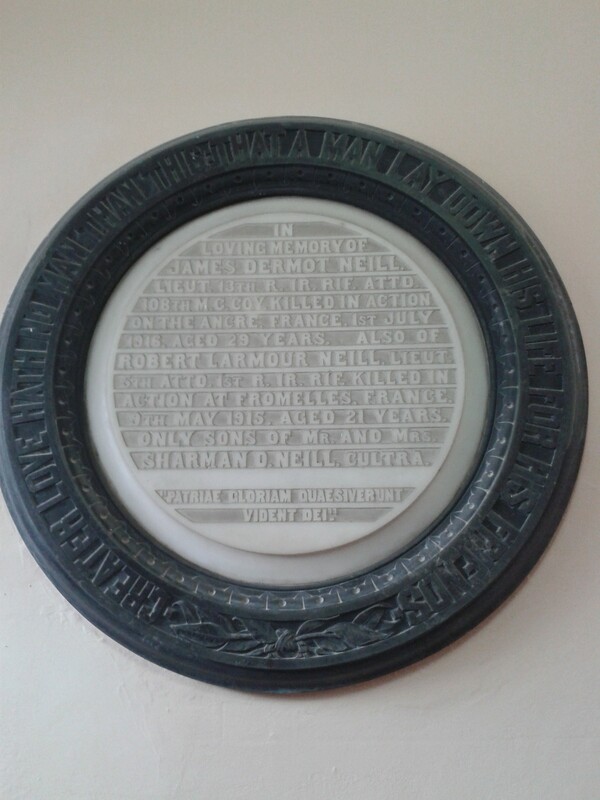 Jennifer Young has sent a picture of the war memorial at Lincoln Unitarian Chapel. I have only visited this Chapel once, some years ago when it was refurbished under the ministry of the Rev Paul Travis but I have to confess that I don’t remember seeing this memorial. It seems rather verbose, it carries the names of no individuals and is quite unlike any other memorial that I am aware of. It is interesting to compare it with the Park Lane memorial window. If like so many church war memorials it dates from the early 1920s then I would guess it is the work of the minister at the time the Rev J. Lionel Tayler. But it is very pleasing to record that a wide variety of material is being sent in for the Project and more is very much welcomed, including anything that forms part of the church experience of the Great War. The First World War cast an enormous shadow over the past century. It had a cataclysmic effect on all aspects of society, no one was left untouched by it – homes, families, schools, factories, businesses, and, of course, churches. There are many ways in which the centenary of the Great War is being marked and most churches are spending some time over the current period reflecting on the conflict, its impact and its legacy. Faith and Freedom is establishing a special section of its website to reflect upon the conflict from the point of view of the churches and other faith groups. The website will be developed in a number of different ways. It will contain scholarly and thoughtful articles on the Great War, particularly in relation to churches and their participation in the War. The first three articles to go online are Unitarian Attitudes to the First World War, by Alan Ruston, The Centenary of the First World War and the Non-Subscribing Presbyterian Church of Ireland, by David Steers; and ‘Their sister in both senses’. The memoirs of Emma Duffin V.A.D. nurse in the First World War by Trevor Parkhill. 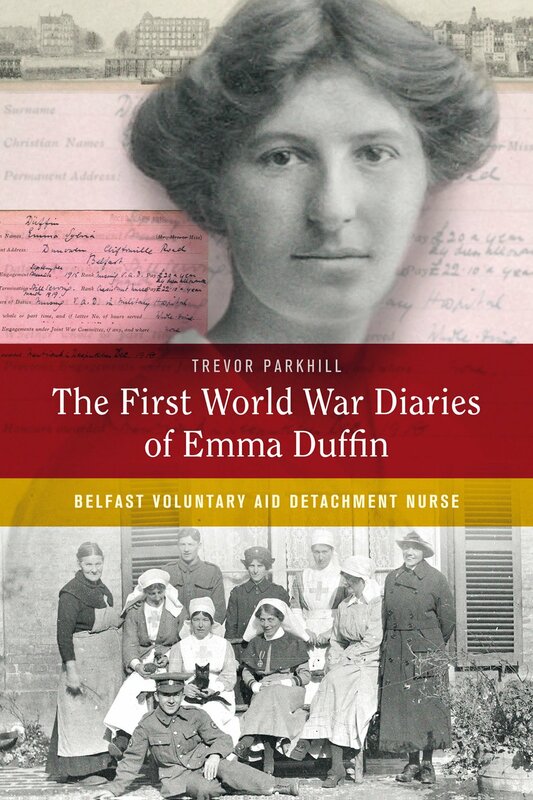 Trevor is editor of The First World War Diaries of Emma Duffin, Belfast Voluntary Aid Detachment Nurse (Four Courts Press, Dublin, 2014) and his article gives an intensely moving account of the First World War experiences in hospitals at the front of Belfast-born Unitarian Emma Duffin (a direct descendant of William Drennan, the founder of the United Irishmen and a cousin of Thomas Andrews designer of the Titanic) who volunteered to serve as a nurse and spent three harrowing years tending the wounded. The second section will contain accounts of commemorations and acts of remembrance made during the current centenary period and readers are very much encouraged to send in reports of their events. The first example is a thoughtful and intensely moving service held at Rosslyn Hill Chapel, Hampstead to mark the centenary of the outbreak of the War. We are also seeking to record the names and details of church members who served in the First World War and we begin with a very full account of the contribution and service, with pictures, of members of the Great Meeting, Hinckley. We also aim to build up a database of images of First World War memorials. 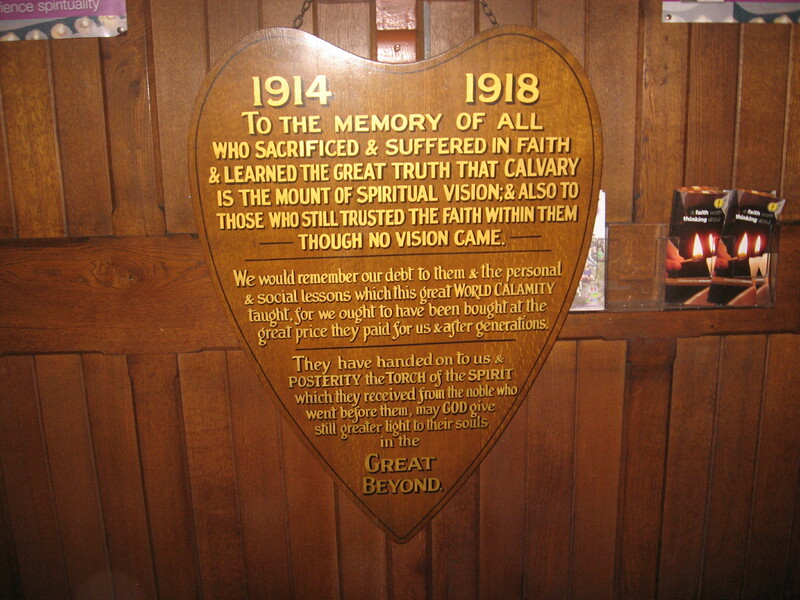 Does your church have a memorial to its members who served in the First World War? If it does then please send a digital picture to go on the website. We are also actively seeking images and details of memorials that were placed in churches that are now closed, which may now be lost or which may have been put in a different location. 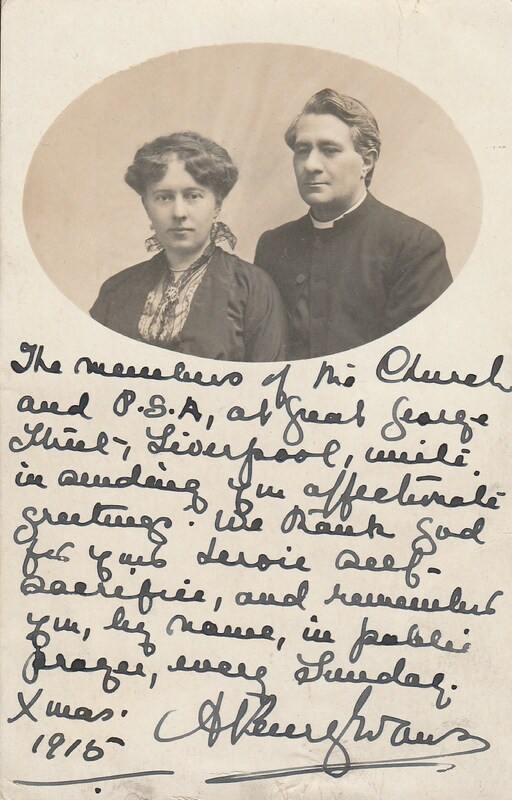 We also hope to include material – including photographs, sermons, writings, printed ephemera etc that date from the time of the War which can then be studied on our site.